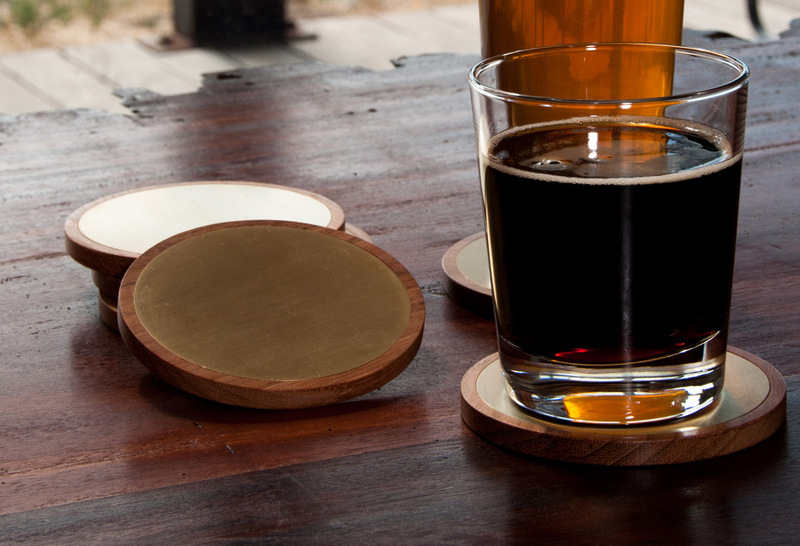 Brass discs inlayed into Brazillian cherry bezels make up these simple yet solid and elegantly industrial drink coasters. 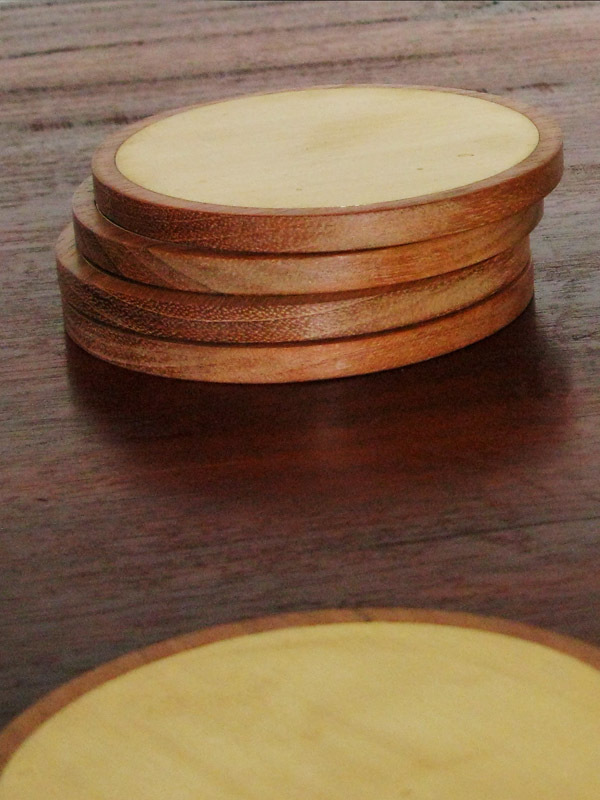 The brass and wood will both age gracefully, the wood becoming more red, the metal taking on the rings and marks of use. 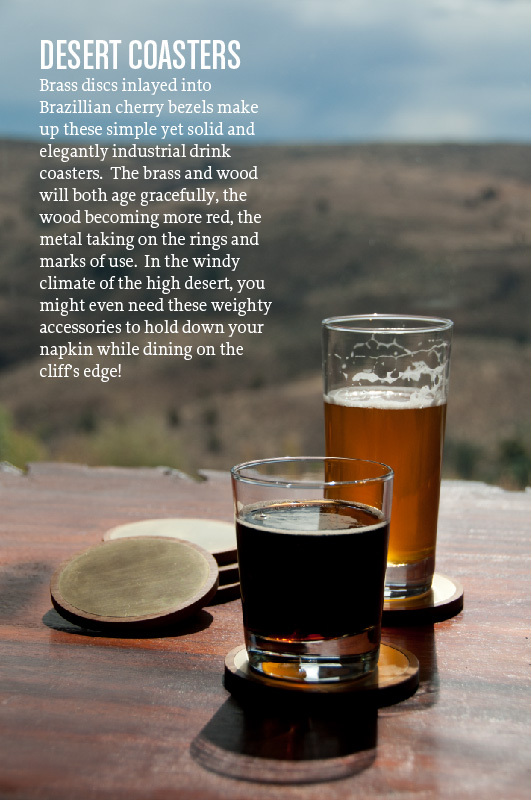 In the windy climate of the high desert, you might even need these weighty accessories to hold down your napkin while dining on the cliff’s edge!